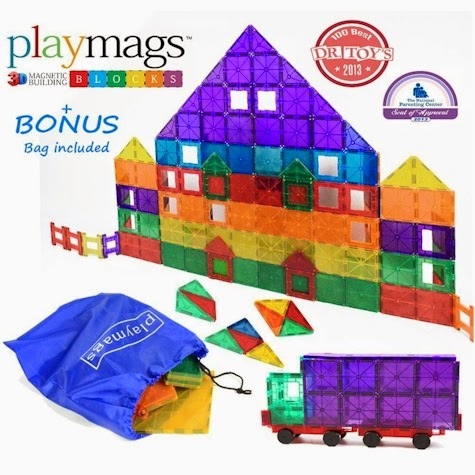 Amazon has got the Playmags 118-piece Clear Colors Magnetic Tiles Deluxe Building Set for $49.99 with free Prime shipping. 4.7 out of 5 stars over 1,169 customer reviews and an "Amazon's Choice" item. Winner of the Dr. Toy 2013 Award and National Parenting CenterSeal of Approval. From reading the reviews, these appear to be compatible with Magna Tiles.